Most of the processes associated with international trade are handled. At the moment, in order to export goods, you must have staff or companies on outsourcing, which will work for your tasks. In the market there is no "button" or site, which would solve all the tasks facing the exporter. In order to start exporting goods abroad, the company needs to undergo many stages. Taking into account the disconnected sources of information and tools, the process of preparing for export now takes half a year for companies. 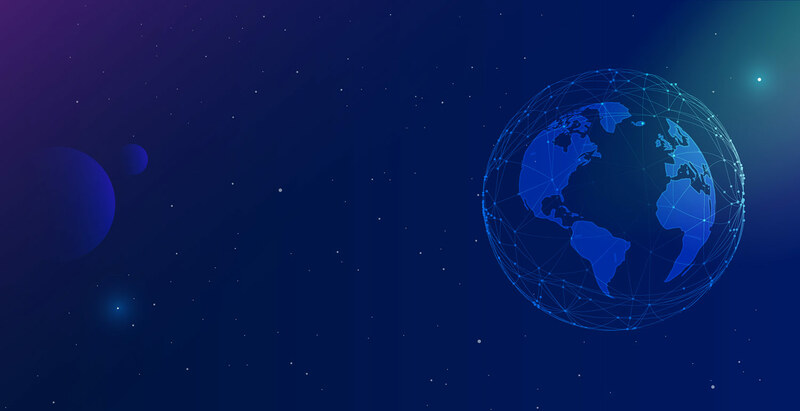 The international trading platform EXPORT.ONLINE is created to solve the existing problems and difficulties of exporters associated with the start and conduct of activities in international trade. -stop-shop mode, allowing clients to reduce their time for preparation and execution of an international transaction by more than 3 times and improve the efficiency of their business by increasing the productivity of their employees. No need to have a large staff or independently look for multidisciplinary specialists on outsource, just connect to the EXPORT.ONLINE platform and implement the whole process there. Permanent bonus 54% to the price of the ICO! In the unlikely event that not all tokens are sold, the remaining ones will be destroyed. 2. Register in our bounty portal. • The Bitcointalk Forum user rank should be at least Jr. Member. • Bitcointalk accounts with negative trusts shall not be allowed to participate. • Subscribe EXPORT.ONLINE to your Bitcointalk profile according to your rank. • The users with the rank higher than Full Member are obliged to add a profile picture. • Make at least 10 messages at Bitcointalk Forum every week. • The minimum message length is 75 characters. • You should be an active user, don't write all the messages on one and the same day. • The messages written in Altcoins (Announcements), Forks sections and in the Official project topics translated into your local language will be accepted only. • Messages without meaning or subject matter will not be accepted. • If you remove the signature before the Bounty is over, you will not receive the award. • Your account must be at least 3 months old. • You should have over 500 followers. • The account should be public in the Internet. • Fake accounts are not allowed, such accounts will not be accepted and paid. • One user can participate with one Facebook account only. • It is necessary to like and share at least 5 project posts a week. • It is allowed to like and share maximum 2 project posts a day. • Do not share and like posts that are more than two weeks old (14 days). They will NOT be counted. • Maximum 1 post per day. 500-999 subscribers – 2 Stakes a week. 1000-2999 subscribers – 4 Stakes a week. 3000-4990 subscribers – 6 Stakes a week. Over 4990 subscribers – 7 Stakes a week. • You should have over 500 subscribers. • Fake accounts are not allowed, such accounts will not be accepted and payed. • Twitter account audit should have over 85% of real subscribers, and most of them should be crypto oriented. • You should like and retweet at least 5 project posts a week. • It is allowed to like and retweet maximum 2 project posts a day. • Do not share and like retweets that are more than two weeks old (14 days). They will NOT be counted. • Maximum 1 tweet per day. 3000-4999 subscribers – 6 Stakes a week. Over 5000 subscribers – 7 Stakes a week. 1. Register in our bounty portal. • The participant should translate the initial message of EXPORT.ONLINE, create a topic in his language in a corresponding local section of Bitcointalk and post the translated text there. • Priority languages for translation: Arabic, Azerbaijani, Polish, Bulgarian, Japanese, Malay, Slovenian, Italian, Romanian, French, Spanish, German, Thai, Hindi, Korean, Chinese, French, Portuguese, Indonesian, Vietnamese. • The use of machine translation (Google Translate and others alike) is strictly prohibited: the participant who makes such a translation will be disqualified. • Translation without reserving is not allowed. We are not responsible to pay to those translations which are done without asking first and approval. • Bounty Manager and the EXPORT.ONLINE Team reserve their right to make changes to these terms or apply new ones. • After you receive our approval, you have 5 days to complete ANN & BOUNTY and 10 days to complete our Whitepaper. • The material should be written in one of the following languages: English, Arabic, Azerbaijani, Polish, Russian, Bulgarian, Japanese, Chinese, Malay, Slovenian, Italian, Romanian, French, Spanish, German, Thai, Hindi, Korean, French, Portuguese, Indonesian, Vietnamese. • The material should be public in the Internet. • The material should include several pictures, it should consist of at least 1000 symbols (excluding space) and 2 links (the first one to the official web-site of the project – https://export.online, and the second one to the Official topic at Bitcointalk – https://bitcointalk.org/index.php?topic=2898000.msg29802525#msg29802525). • The material should be unique. The information copied from Bitcointalk or from the project web-site will not be accepted. • The material should be posted with regard to the appearance requirements, at a news web-site, in a personal blog or a personal page in the Internet. • The outreach of the followers should amount to at least 500 people. • Maximum 1 article per week. 1. Make a video review of project EXPORT.ONLINE. Please keep in mind that we reserve the right to refuse. All the decisions are made in good conscience. • Your video should be auteur and should not infringe copyright of any other users. • The video should be in one of the following languages: English, Arabic, Azerbaijani, Polish, Russian, Bulgarian, Japanese, Chinese, Malay, Slovenian, Italian, Romanian, French, Spanish, German, Thai, Hindi, Korean, French, Portuguese, Indonesian, Vietnamese. sales of tokens, description of some WhitePaper aspects, associated technologies, comparison with competitors, etc. • In the description of the video, there should be at least 1 link to our materials (web-site, social networks account and topics at Bitcointalk) with information on the ICO term. • Maximum 1 video review per week. • We reserve the right to reject videos that do not comply with the requirements. 1. Make a advertising video about the project EXPORT.ONLINE. • The Advertising video should be auteur and should not infringe copyright of any other users. • The video should be in one of the following languages: English, Arabic, Azerbaijani, Polish, Russian, Bulgarian, Japanese, Chinese, Malay, Slovenian, Italian, Romanian, French, Spanish, German, Thai, Hindi, Korean, French, Portuguese, Indonesian, Vietnamese. • The video should be informative and creative, with high-quality processing. • The Advertising video should last up to 3 minutes. • Maximum 1 video per week. • Explain the EXPORT.ONLINE architecture. Why is it unique and what are its benefits? • What are the benefits of EXPORT.ONLINE in comparison with other competing projects? 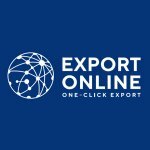 • When will EXPORT.ONLINE ICO start and why is it worth participating? • Any positive texts concerning the project.